Bundi came under the Chauhan rulers in the 12th century and was an important state at the peak of Rajput glory in medieval times. The association with the Mughals led to the decline of Bundi. Although the state lost its glory, it continued to be an independent state within the British rule and became a part of India when it gained independence in 1947. 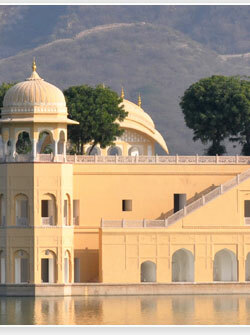 Tourism in Bundi opens a world of monumental marvels, especially the Taragarh Fort. The Taragarh Fort, built in 1354, with its imposing structure of stone, is situated on a steep hill and has massive battlements and ramparts. The fort welcomes vacationers through an enormous gateway. Once inside the fort, visitors can see the Bhim Burj, the largest battlement, and a huge water reservoir carved out of solid rock. From the fort, one can see the entire town. 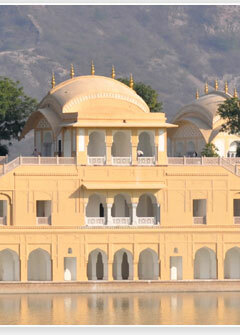 The Taragarh Fort also is a magnificent point to see the sunset over the Rajasthan horizon. 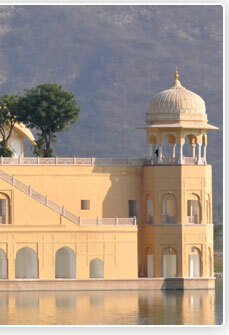 Bundi Palace, which is situated on a hill, adjacent to the Taragarh Fort, is known for its traditional murals. These murals give the traveler a glimpse of the splendor and lifestyle of the rulers of Bundi and their exploits. Though most parts of the palace walls are decorated with traditional murals, only the Chitra Shala area is open for tourists. Bundi is famous for its waterworks. It has a number of impressive baolis or step wells. Raniji-ki-Baoli, (Queen's step well) is an important place to visit. It is a 46-m-deep step well, built in 1699 by Queen Nathavatji, and is known for its carvings. The Nagar Sagar Kund, a pair of identical, step wells is near Raniji-ki-Baoli, in the center of the town. 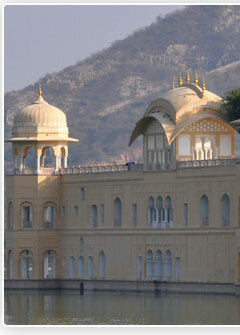 Nawal Sagar, the artificial lake near the palace is a good tourist spot and one can see a shrine at the center of this lake. 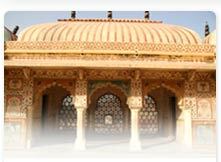 Other waterworks worth visiting are Dhabhai Kund and Bhora-ji-ka-Kund. One of the major attractions in Bundi is the Teej Festival. This annual festival is held in during July-August. Tourists must make it a point to travel to Bundi during the Teej Festival. The Chitra SHALA has a colourful glimpse of history painted on ceilings and walls, making it an open art gallery. The paintings of Bundi School are famous for its festivals, animals and birds scenes portrayed beautifully.